You can download the catalogue of the first edition of Parees in PDF. It has photos of all the interventions made, information about the artists, the creation processes of the works and a route proposal between them. 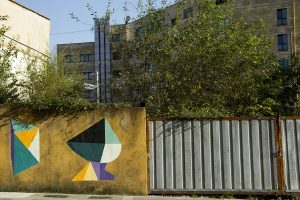 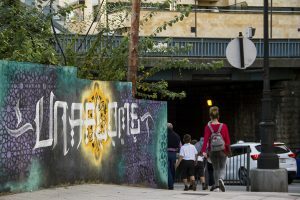 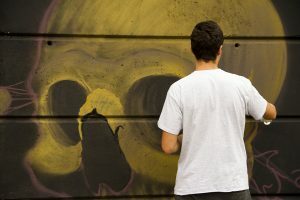 Communicating and visualizing the presence of graffiti writers allows us to delve into themes of inclusive urbanism, into the uses and readings of spaces from a gender perspective. 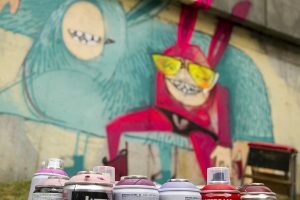 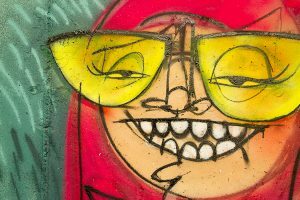 It means working to break stereotypes traditionally associated with the phenomenon of graffiti that are reinforced across the range of mainstream media and that help to build a biased image in the public mind. 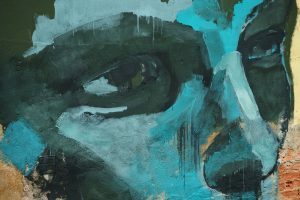 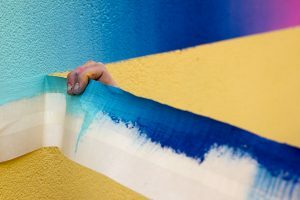 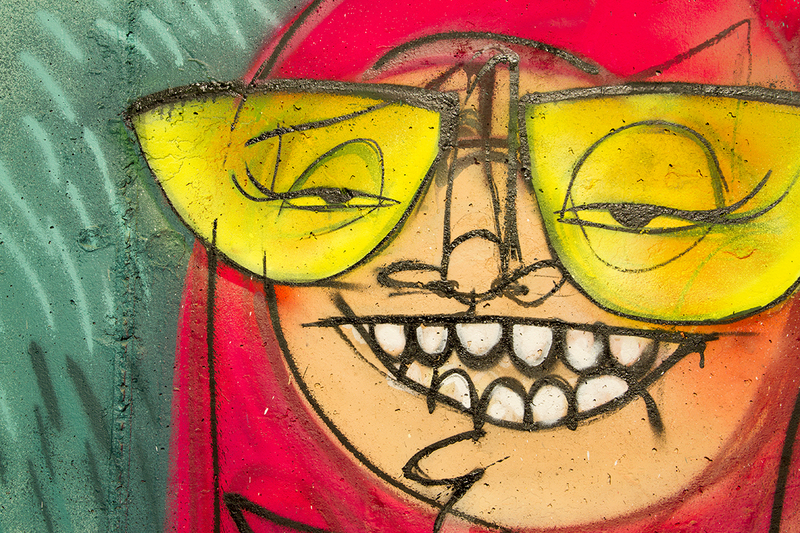 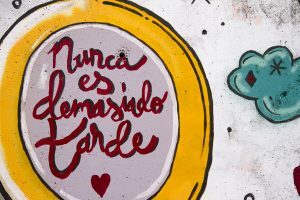 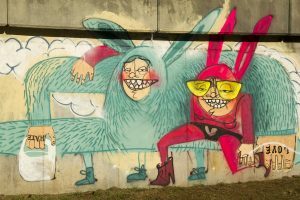 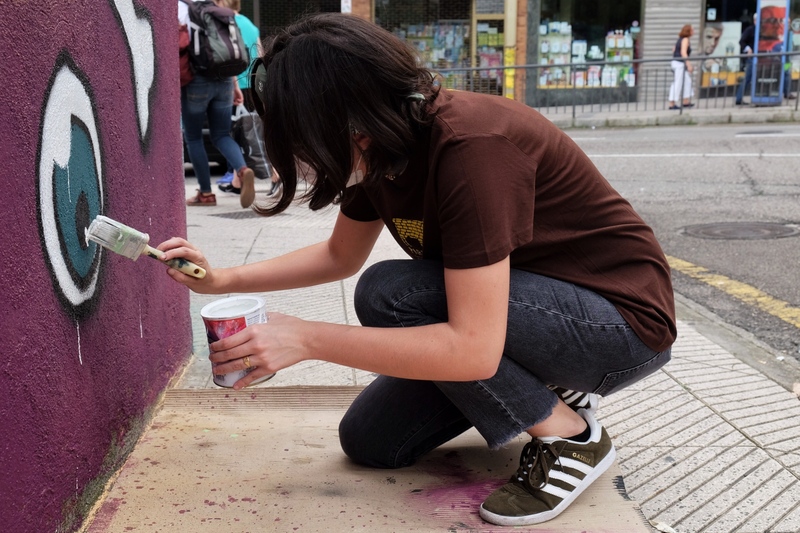 We also talk about the cultural and social background of graffiti, and address current national and international proposals that advocate greater visibility for female writers, driven by the movement itself. 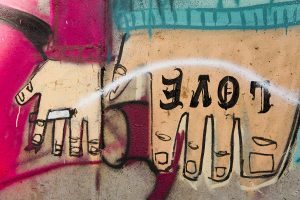 Degree in Sociology and Master in Social Intervention. 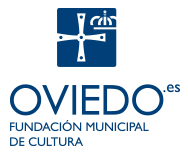 Specialized in Cultural Criticism and Communication. 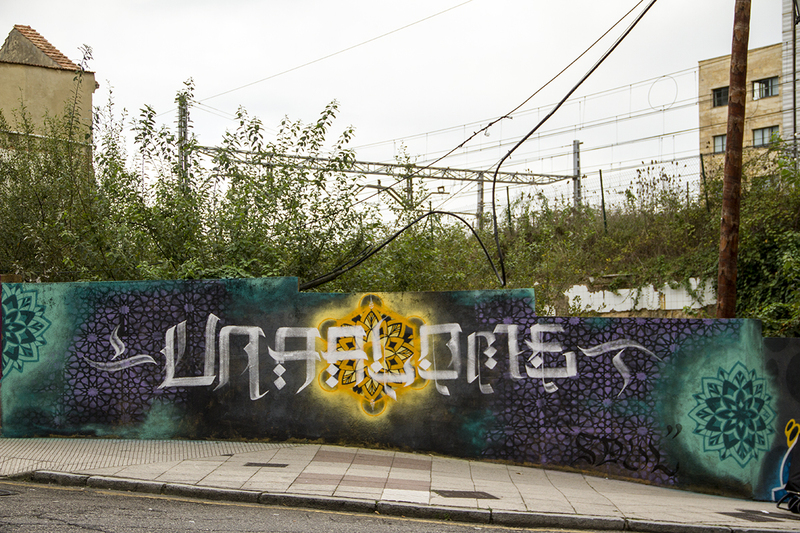 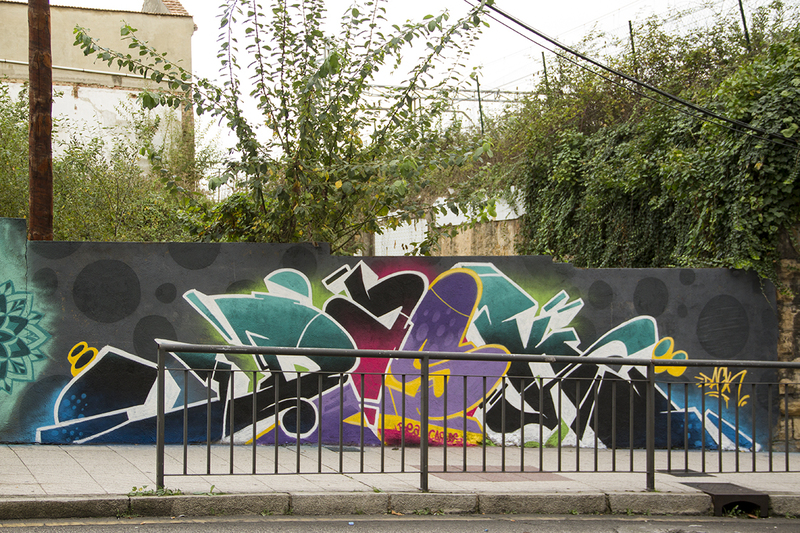 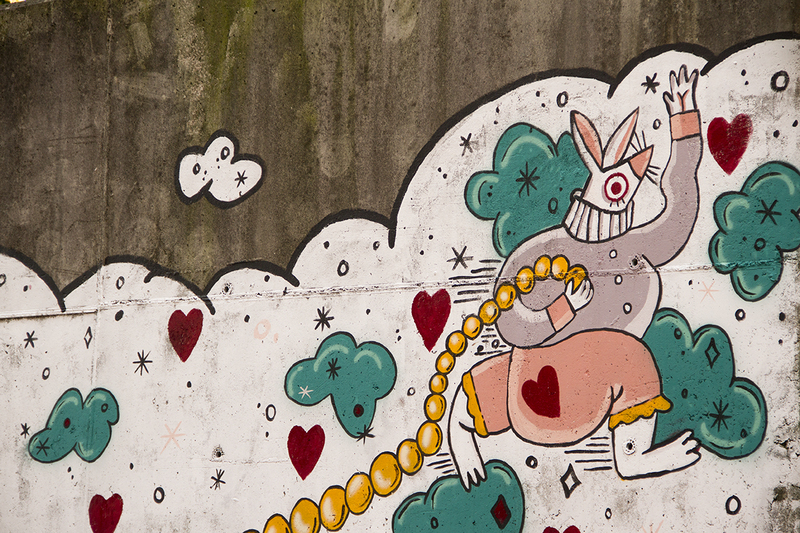 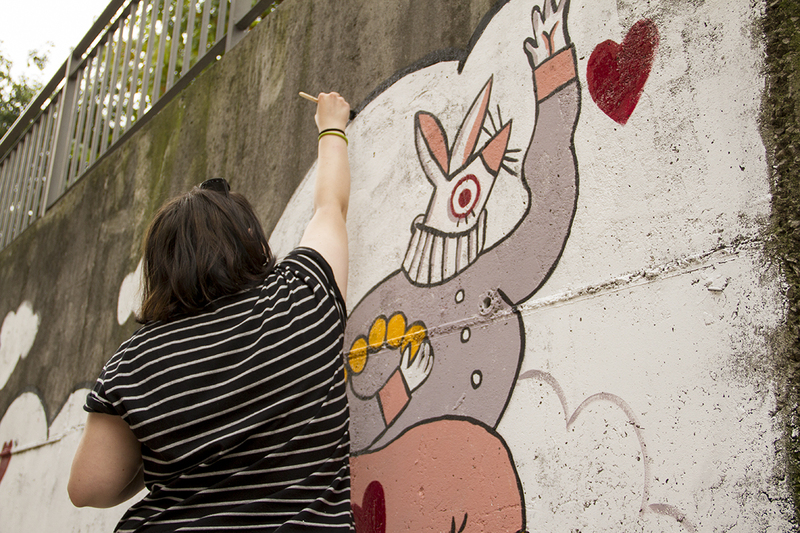 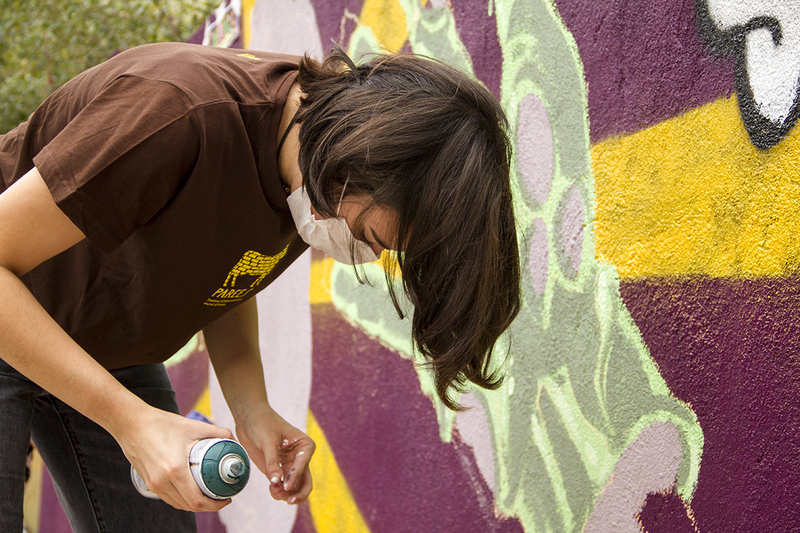 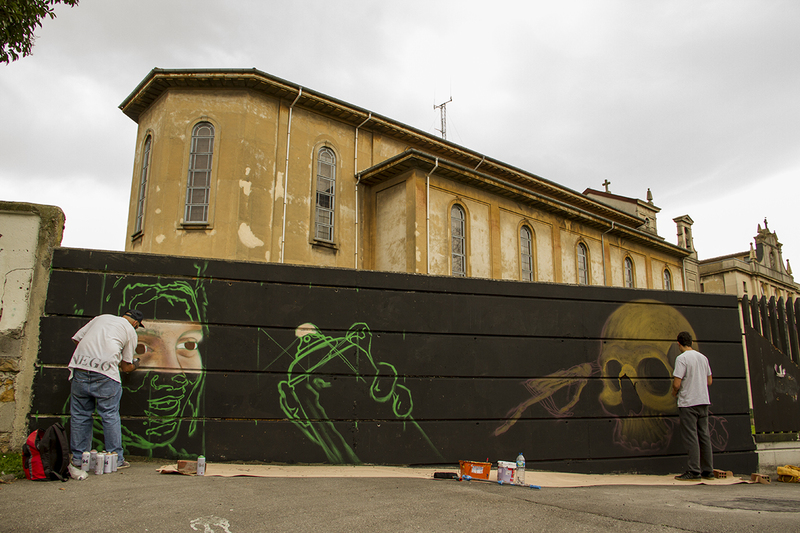 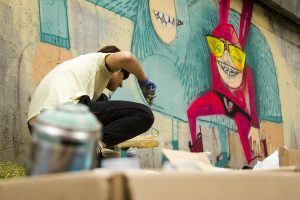 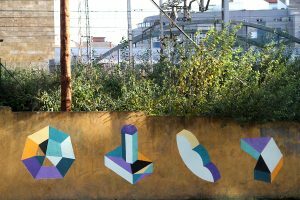 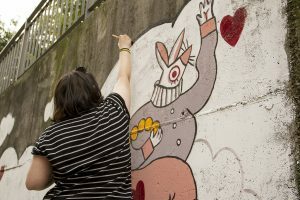 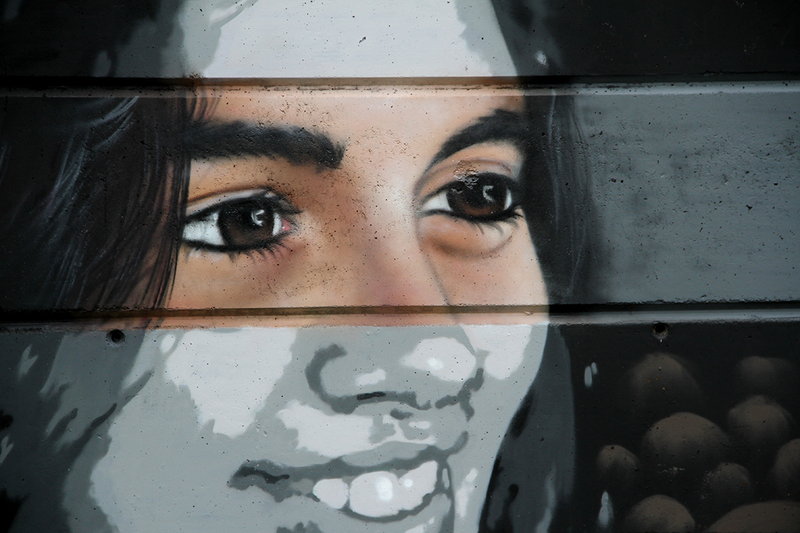 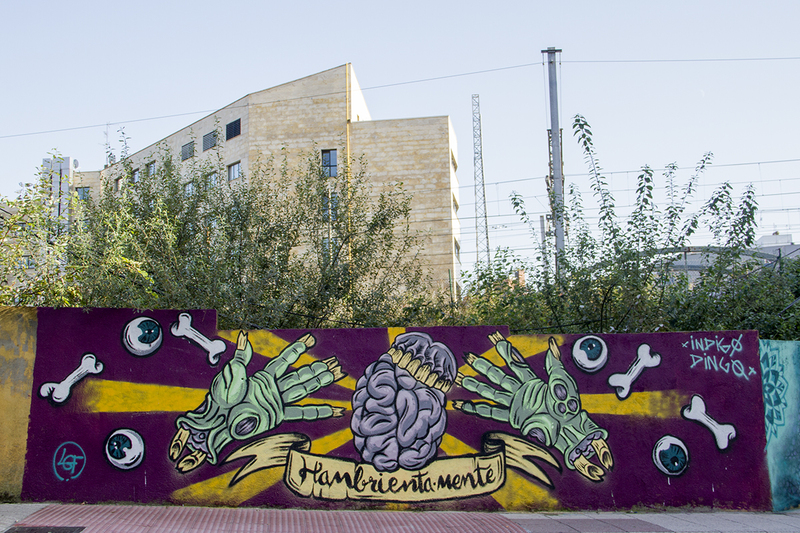 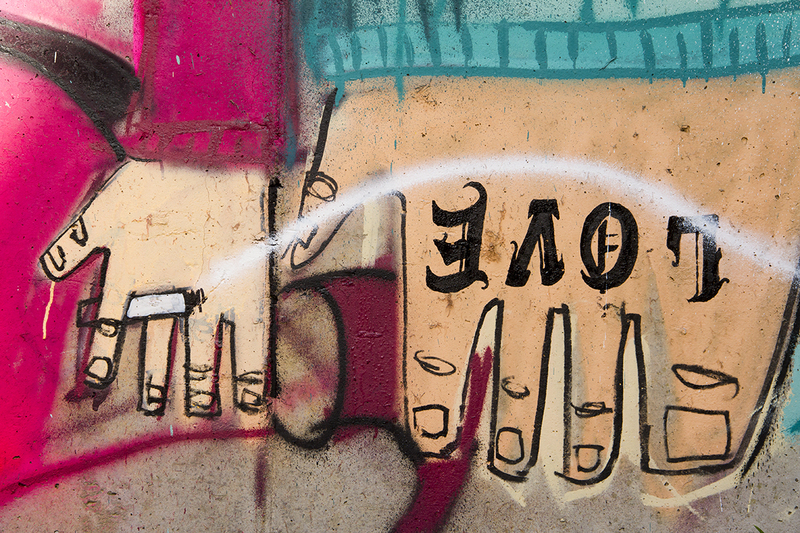 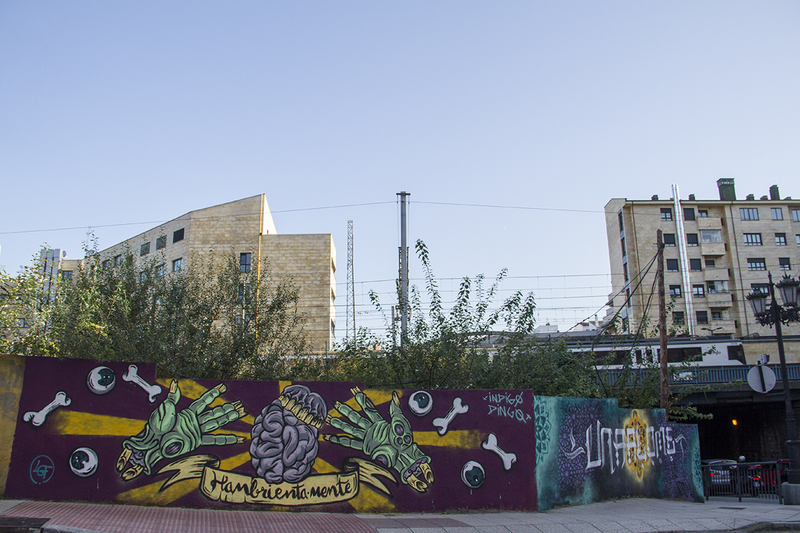 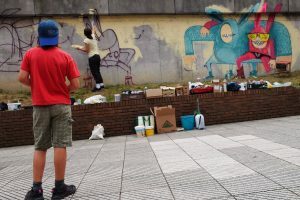 Nerea has carried out research with a sociological approach into the phenomenon of Graffiti since 2008. 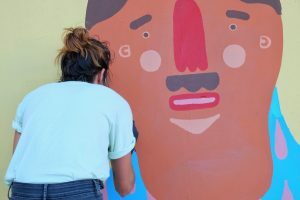 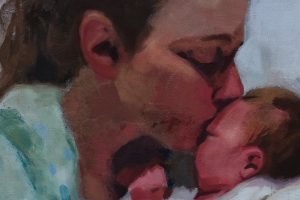 Most recently, her work has focused on the gender perspective. 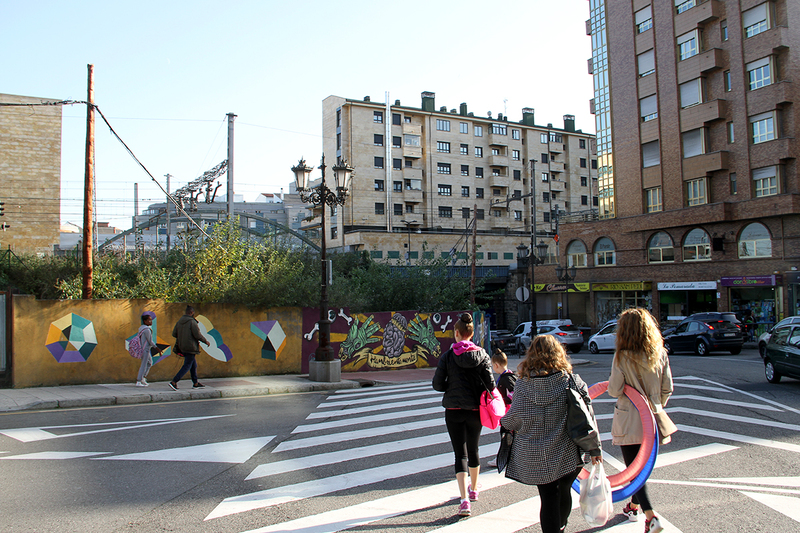 A theatrical and interactive itinerary by bicycle to see some of the interventions completed during the festival. 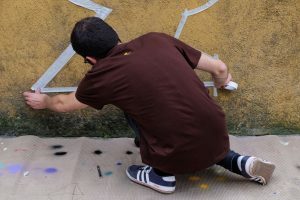 The activity had two parts, in the first one didactic materials were used next to the installation, with which the participants literally entered fully into the activity. 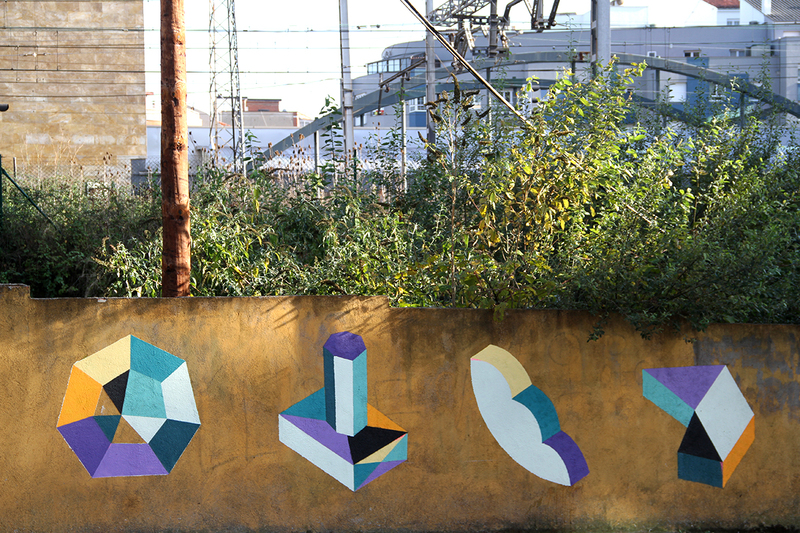 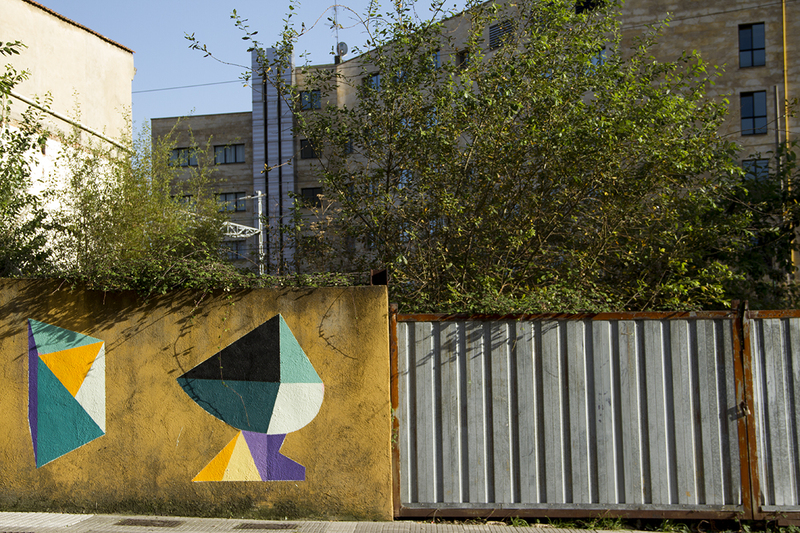 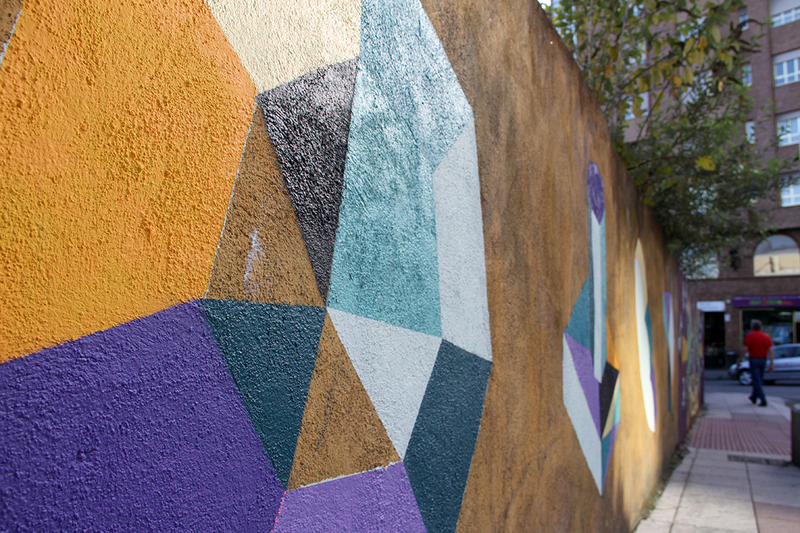 In the second part, a mural intervention was carried out through a specific dynamic process. 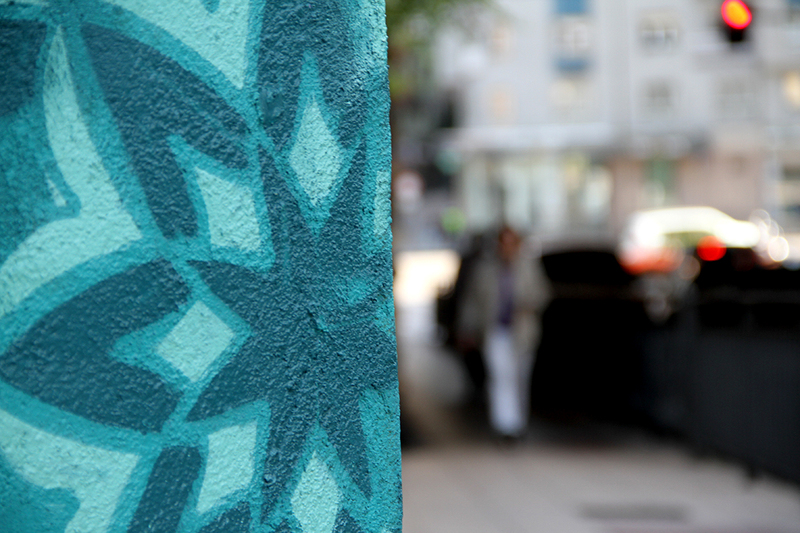 The walls narrate the history of their cities and build the symbolic identity of their inhabitants. 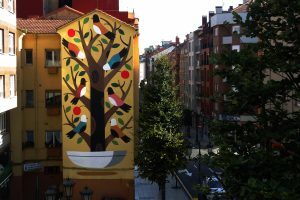 Hence the importance of restoring pieces made in Oviedo during the muralist movement of the 1980s. 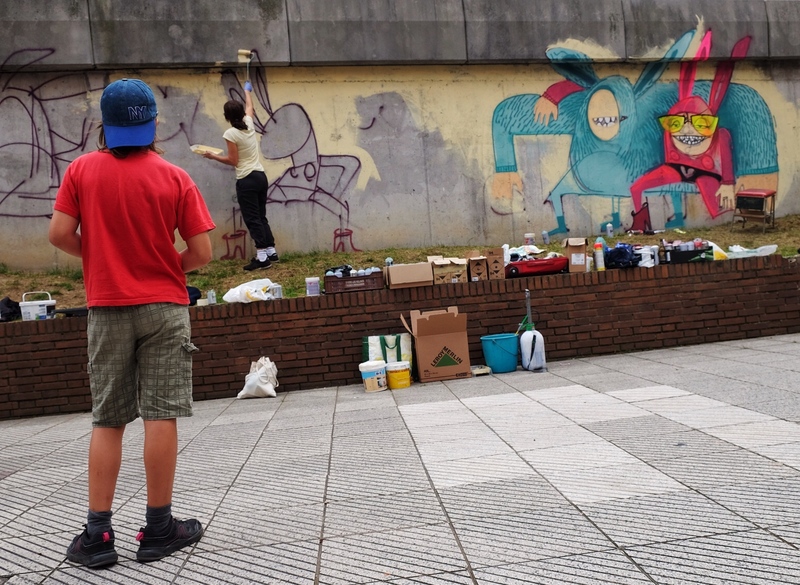 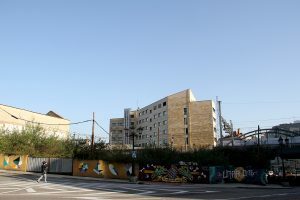 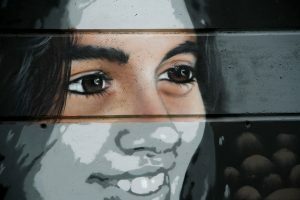 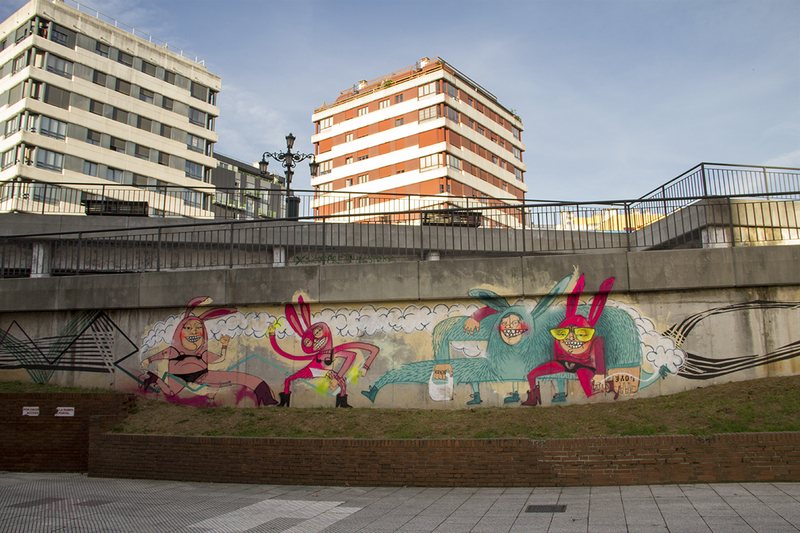 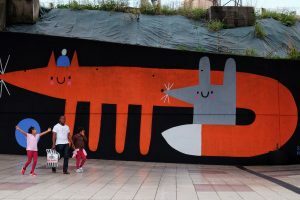 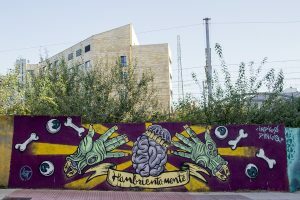 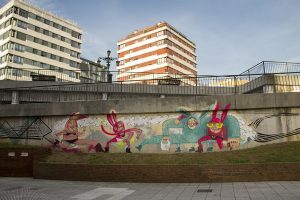 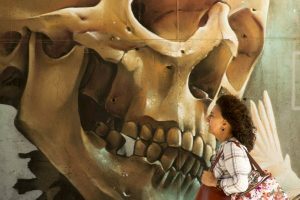 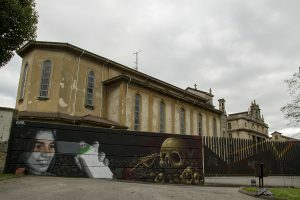 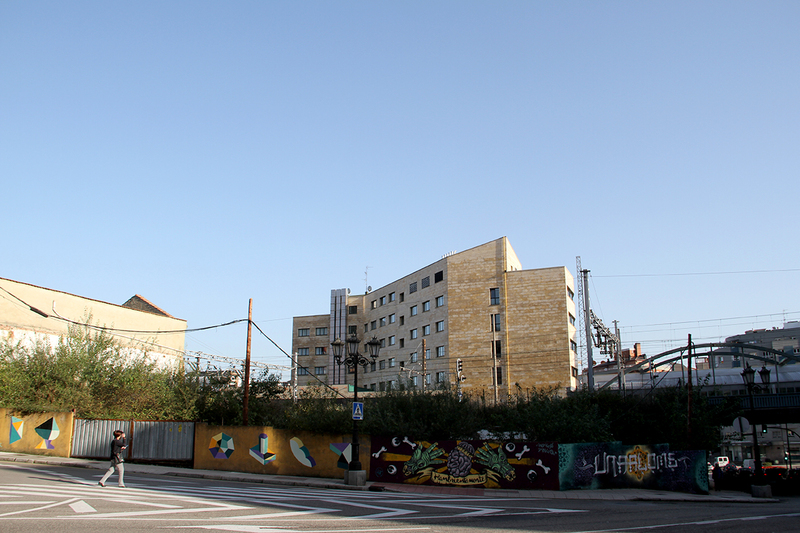 The City Council of Oviedo, through the Municipal Culture Foundation, proposed the realisation of a new mural to replace the one made by Florentino Flórez, since it was in a bad state of deterioration. 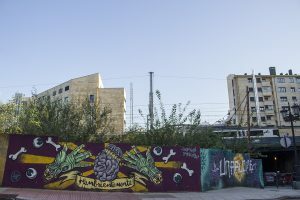 Florentino Flórez himself advocated a new intervention rather than restoration. 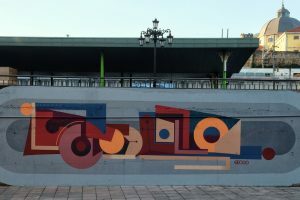 Therefore, a competition was held to develop a new mural on the theme Leopoldo Alas Clarín. In the contest 70 candidacies of 21 different nationalities took part. 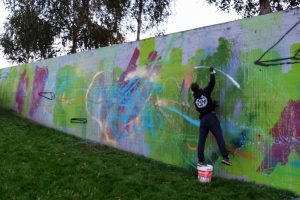 A jury awarded the commision to Twee Muizen, and the new mural is going to be painted in 2018.